Charles Tiefer joined the faculty in 1995. Previously, he had served as solicitor and deputy general counsel of the U.S. House of Representatives for 11 years. He also taught as a visiting lecturer at Yale Law School and for a decade as an adjunct at Georgetown University Law Center. He was an associate editor of the Harvard Law Review, a court law clerk for the D.C. Circuit, a trial attorney with the Civil Rights Division of the US Department of Justice, and an assistant legal counsel for the Senate. 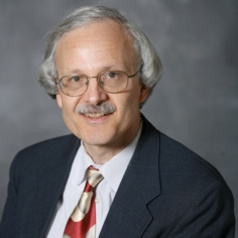 Professor Tiefer wrote Congressional Practice and Procedure (1989), the only treatise on Congressional procedure, and The Semi-Sovereign Presidency (1994), a book on separation of powers. He has published articles on legislation, separation of powers, international law and federal government operations in the Harvard Journal on Legislation, Yale Journal on Regulation, Texas International Law Journal, the Boston University Law Review and numerous other law reviews. Professor Tiefer served in 2008-2011 as Commissioner on the Congressional chartered, federal Commission on Wartime Contracting in Iraq and Afghanistan. He took a lead role in two dozen televised hearings, and went on official missions to Iraq and Afghanistan, concerning wartime procurement. He is a member of the District of Columbia Bar.